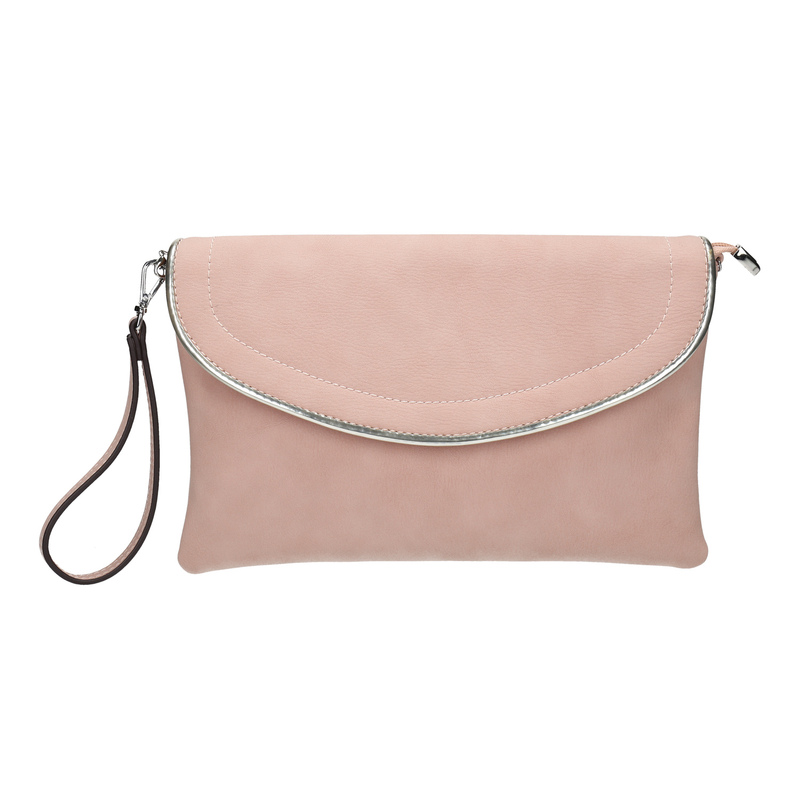 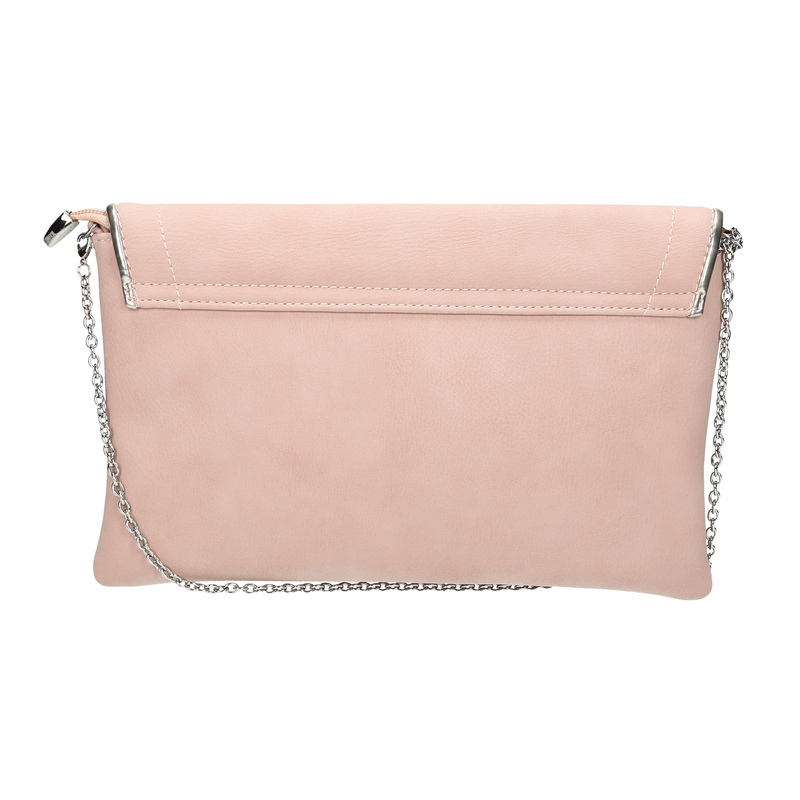 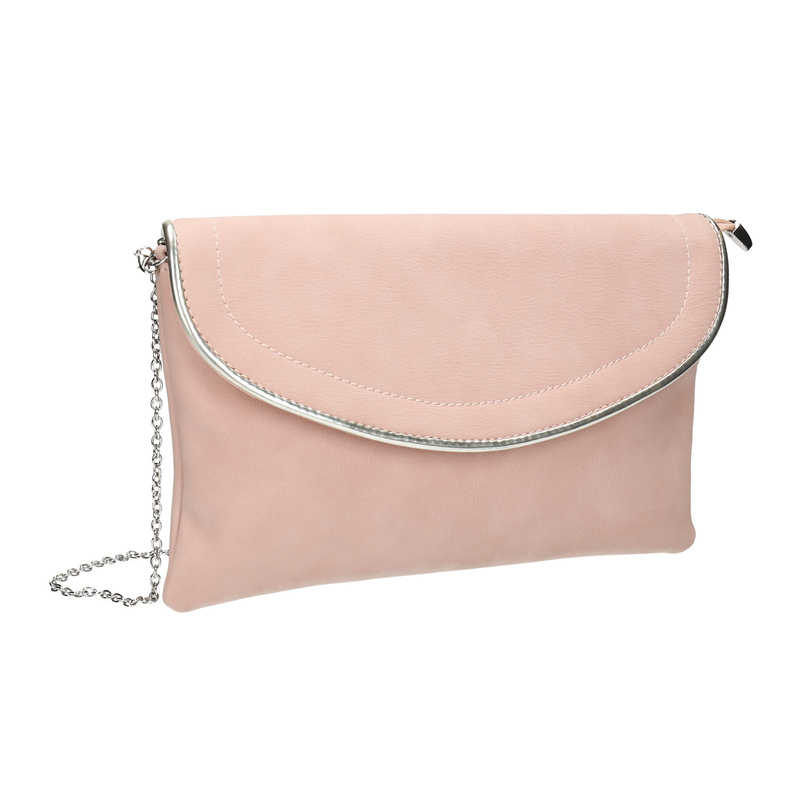 This pastel-pink clutch is perfectly feminine and is ideal for the spring and summer season. 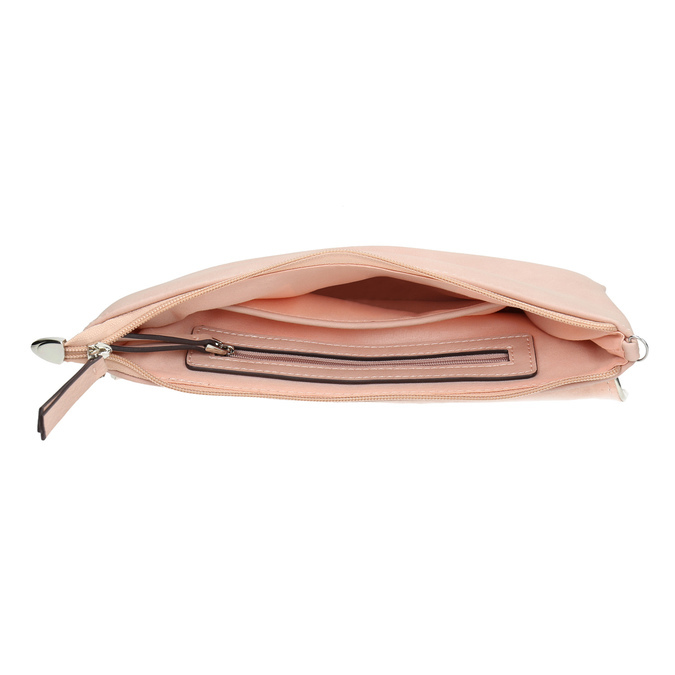 There is a silver band lining the flap and inside there are two pockets for small items. Includes a detachable silver shoulder chain as well as a pink detachable wrist strap.